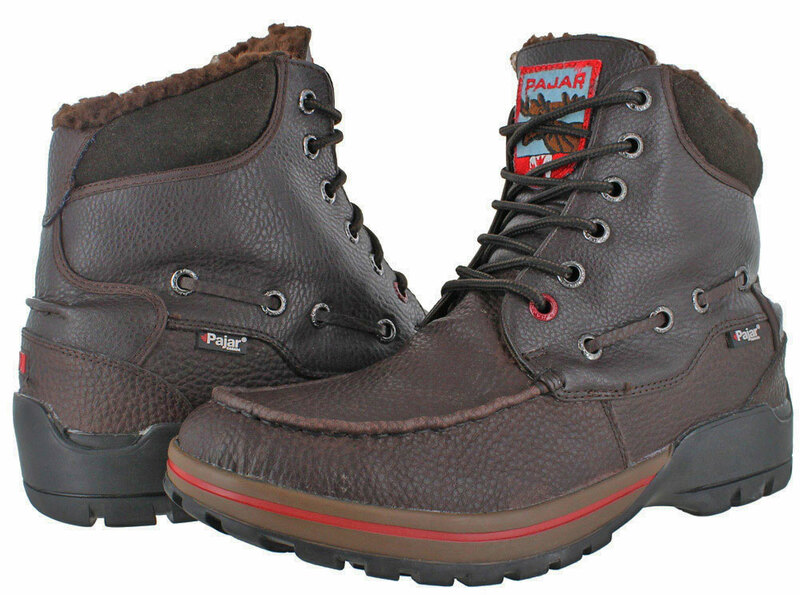 When the weather is cold, wet, snowy or icy, you will need a pair of top-notch winter boots. 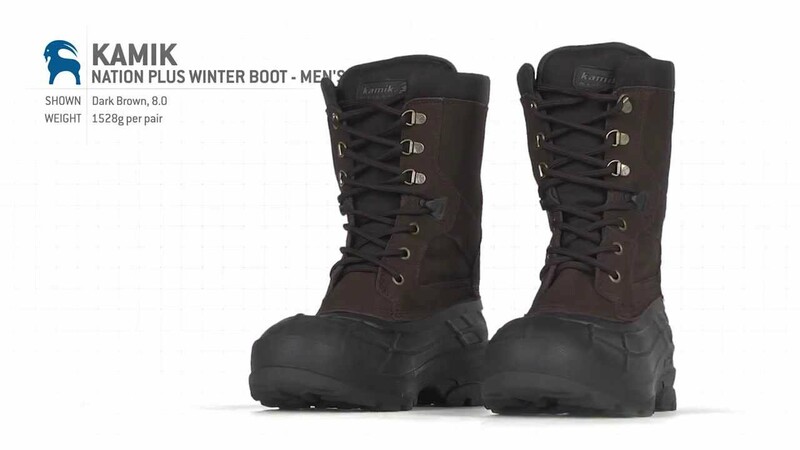 Below are some of my top picks in men’s winter boots, designed to keep you dry and warm, even in some of the worst conditions. When you’re done looking over the list, you may want to check out readers’ feedback on which brands make the warmest winter boots or share your own thoughts on the topic. 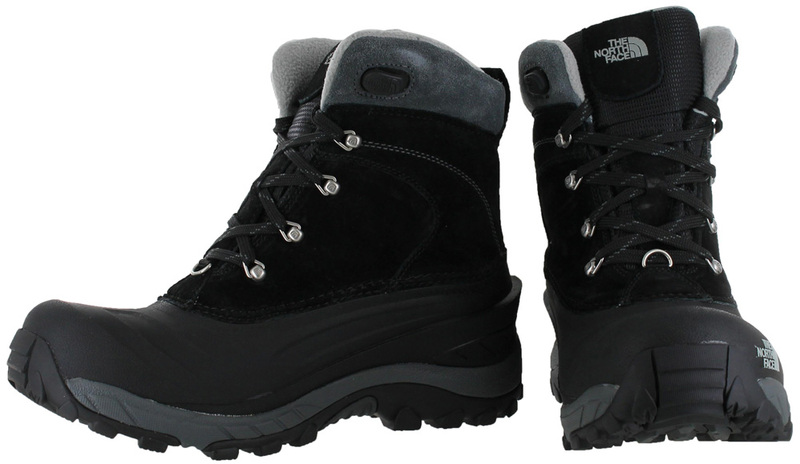 Protection with a capital “P” is what you’ll get with these stylish boots from The North Face. With waterproof uppers, 200g Primaloft® insulation, rustproof hardware, and more winter-beating technologies than I could possibly list, these boots also have a great, rugged look. With self-cleaning lug soles, and waterproof suede and nylon uppers, these boots will take care of you, and themselves. Great for guys who don’t like or need really tall boots, these rugged, above-the-ankle boots are still tall enough to keep the snow out, and are comfort-rated to -40 degrees Fahrenheit. Looking like a cross between hiking boots, trainers, and winter boots, these big, bad boots from Columbia feature 400 gram Thinsulate insulation to keep you extra warm. And thanks to their ballistic mesh uppers with leather overlays, they’re pretty cool-looking as well. There are times when you need a winter boot that’s not quite so winter-boots, and that is when styles like the Pajar ‘Max’ come in. With classic chukka styling, these boots can easily take the place of shoes in any casual situation, while the suede uppers and shearling lining will help keep you warm on chilly days. Of course, if conditions are snowy, icy, or extremely cold, you’ll definitely want to stick with one of the more protective boots listed above. 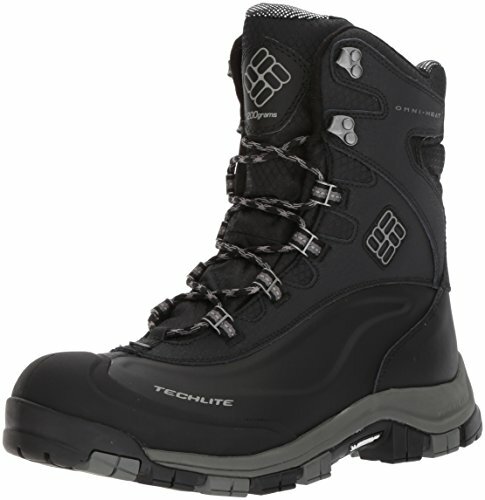 Or, check out my top picks in men’s snow boots. It’s essential that my winter boots keep me warm, and it’s lovely if they handle snow and ice as well. But I always feel as if I’ve hit the winter boot trifecta if I find boots with those qualities that are also super-cute. I think I’ve found just such a boot in the ‘ arctiv8 ‘. 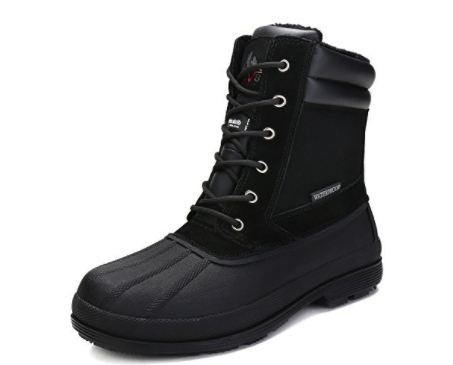 Designed for wet and cold requirements that are outdoor, these boots feature micro-fiber and heat-reflective liner and waterproof protection, optimizing comfort and warmth. The rubber outsole facilitates you to challenge the winter. With 13″ tall shafts, these boots are tall enough to keep out snow, cold and ice, but not so tall that they’re hard to get into when you’re in a hurry. The shearling and insulated linings should offer plenty of warmth, and the Durable Rubber outsole should handle most wintery surfaces with ease. And on top of all of that, these boots are cute enough to satisfy the snow bunny in all of us. As important as it is to have a good pair of flip-flops in the summer, it’s even more important for men to have two pairs of killer winter boots. You need one to wear when the weather is a little nasty and you need to get to work or the store, and another pair for when the weather has turned your world upside down and you need to get outside to chip your car out of a block of ice, find the dog, or dig your satellite dish out of a bluff of snow. These are the boots that you’ll need when the weather stinks, but you’re going to the office anyway. You need to protect your feet, but still need to look like the professional you are. 1) Style: You need to be presentable since you’re still in a professional setting. The boots need to look good enough with a pair of jeans so when you walk into a meeting people don’t look at you like you’re scaling Mt. Everest. 2) Function: These need to be waterproof and high enough on the ankle so if you have to step through snow or water, you won’t ruin your entire day. 3) Flexibility: They need to be flexible enough for you to move around on a normal day. You don’t need something that will be stiff and limit your mobility. Find boots that will protect your feet, but will also work as everyday shoes. 1) Seam-sealed waterproof protection: if you get wet – your day is only going to get worse. Keeping dry when the temperatures are below zero is crucial. 2) A rating under 0 degrees: When you go outdoor, you need to make sure that the boots are going to keep you warm for those rare winter storms where the wind chill is below zero and snow drifts can go crazy. If you’re digging a car out these boots need to keep you comfortable for a long time. 3) A boot that is high enough: Make sure the boot is high enough to keep water and snow from hitting your feet. Ankle-high boots will not cut it when Mother Nature has it in for you. While finding suitable winter boots for women is a relatively simple task, parents of boys may have a bit more difficult. But before we get into that, let’s consider a look at what you’ll want to look for when shopping for any pair of winter boots.